DAVID R. WILKINS, M. D., is one of the most successful and prosperous physicians of this section. His training has been medical, as his father has long been known as one of the most skillful practitioners of the county, and it is not too much to say, remembering his popularity, that he has probably inherited some of the qualities which have gone far to make his success assured. The steady nerve, the quick eye and the tender, sympathizing touch which make a physician so affectionately regarded, are qualities which no school of medicine can give, if they are not a part of the man himself. With this introduction, we pass on to the brief sketch of the life of one whose past augurs well for the future. David R. Wilkins was born in Medaryville, Ind., March 28, 1855, and was the son of Dr. David Wilkins, of Greenville, Ill. At the age of two months he was brought by his parents into Mulberry Grove, this county, and later accompanied them in their removal into Greenville. At that place he attended school, and received every advantage until he was eighteen years of age, when he went into a drugstore to learn the uses of medicine, and here he remained for four years. During this time he was reading medical books in the regular course, and by the time two years of his drug stove experience were passed he was ready to attend a course of medical lectures in the Missouri Medical College, and two years later, in 1878, he graduated from there. 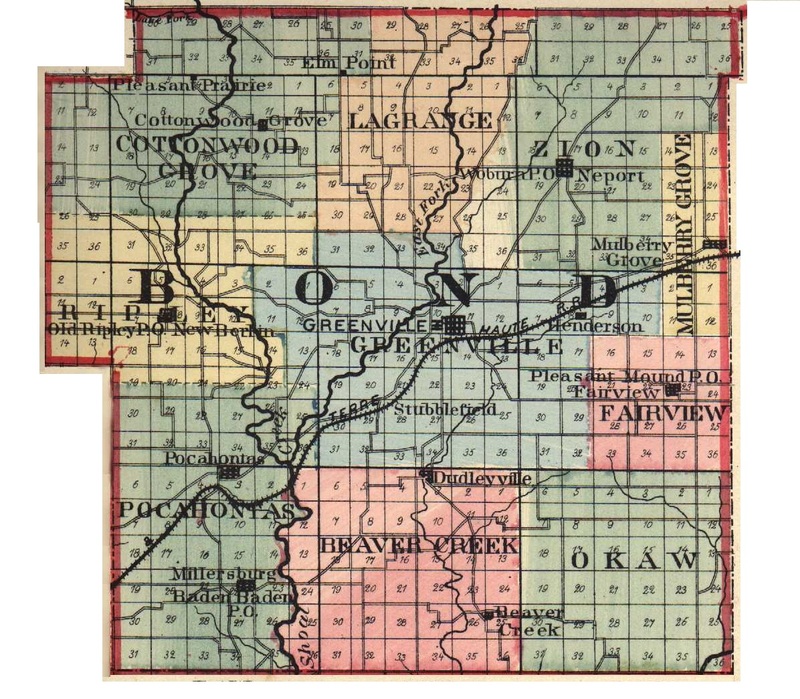 Looking about for a pleasant and profitable situation, our young M. D. selected Old Ripley, in this county, and remained there until 1881, at which time he joined his aged father in Greenville, and practiced there for three years. However, his patients at Ripley demanded his return, and he came back for one year, but in 1885 he came to Pocahontas. September 15, 1881, he was married to Miss Jennie Harned, who was born in Old Ripley Township April 22, 1861, and three children are now happy little members of the Doctor's household, and their names are Lillian, John and Paul. The Doctor's practice extends over a wide extent of country, and is constantly increasing. He is a valued member of the Methodist Church, and attends upon its services and contributes to its support. The home of Dr. Wilkins is very attractive, and has lately been so re-modeled that it is most convenient, with office, drug room and consulting room in communication. He takes great interest in the Masonic order, in which he has long been prominent, being now Secretary of the lodge at this place, and belongs to the Ancient Order of United Workmen, and is one of the social factors of his community. Extracted 04 Dec 2016 by Norma Hass from 1892 Portrait and Biographical Record of Montgomery and Bond Counties, Illinois, pages 157-158.